1. Outside bile uses high quality (t=1mm)SUS304 steel plate numerically-controlled machine tool to process,outside hull spray molding treatment,make chamber more bright and clean. 2. high density glass cellucotton,insulation thickness is 80mm. 3. Use long axis fan motor,heat and cold resistance,stainless steel siroco fan,to make sure strength convection and vertical diffusion cycle. 4. Between door and chamber,use double-deck thermostability sealing strips,to make sure testing area is airtight. 5. Use no-retroaction doorknob,easy operation. 6. In the bottom of chamber,use high quality stationary type PU running wheel. 7. Observing window uses multilayer hollow toughened glass. 1. 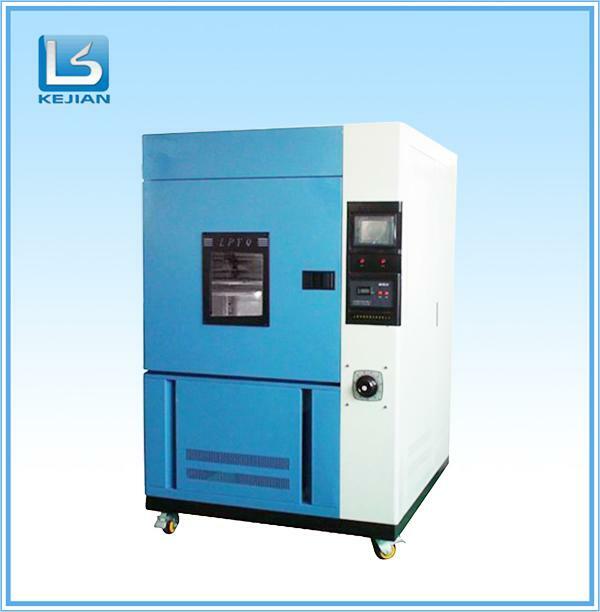 Compressor uses France TAIKANG whole sealing compressor. 2. 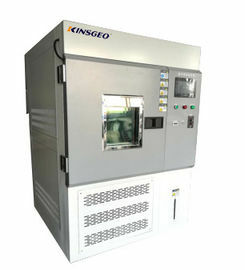 Cooling system uses Unit or binary low temperature return circuit system. 3. US “AIGLE” drying and filtering device,Taiwan AIRMENDER oil separator,Italy Castel solenoid valve. Testing chamber air temperature controlling system. Irregular shape sample supporting structure. Xenon lamp lifelong is decided by the illumination level of radiation intensity,the lifelong is about 1600 hours,it's easy to change the lamp. Humidification System isolated type,SUS steel surface evaporative humidifier. Blackboard temperature thermometal blackboard thermometal. cyclic system low noise,air-condition type motor, multiple-pin Centrifugal rotor. Outside chamber material SUS304 stainless steel. Doorframe heat insulation good heat and cold resistance,aging Silicone rubber door and sealing strips.